TechStars Startup Weekends, powered by Google, are events that give aspiring entrepreneurs an opportunity to find out if their startup idea is viable, as well as network, consult with mentors and gain future business opportunities. All of this, and more over the course of just one weekend (54 hours). So far, almost 3 000 Startup Weekend events have been organized in 150 countries around the world. 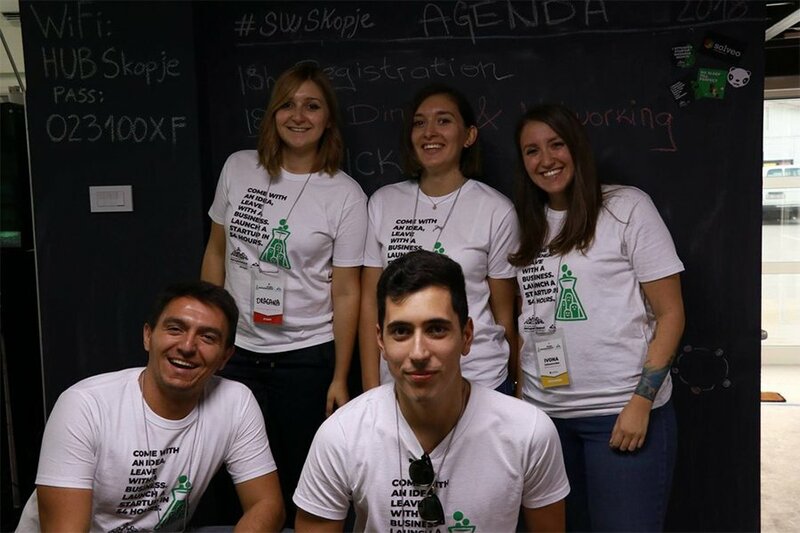 The 7th Startup Weekend in Macedonia took place on the weekend of 19-21 October 2018 in Skopje, this time organized by Solveo with the help of volunteers from the Solveo Ambassador network. We noticed that the startup community in Macedonia needed a boost because there weren’t many opportunities for aspiring young entrepreneurs. 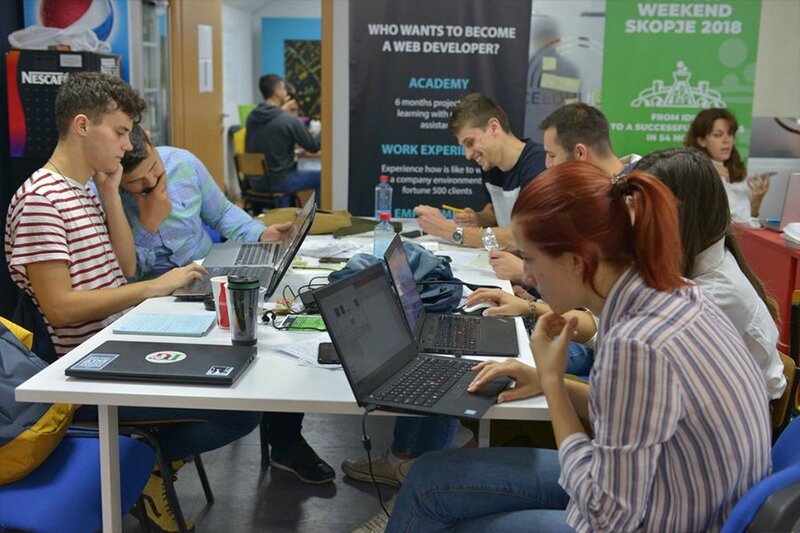 There also hadn’t been a Startup Weekend event in Skopje for 2 years, so we decided to take initiative and bring Startup Weekend Skopje again in the spotlight. We wanted to encourage the entrepreneurial mindset and create opportunities for young people to start something on their own and bring their innovative ideas to life. Startup Weekend is a three day event where participants have the opportunity to present and work on their startup ideas together with experts from different industries. 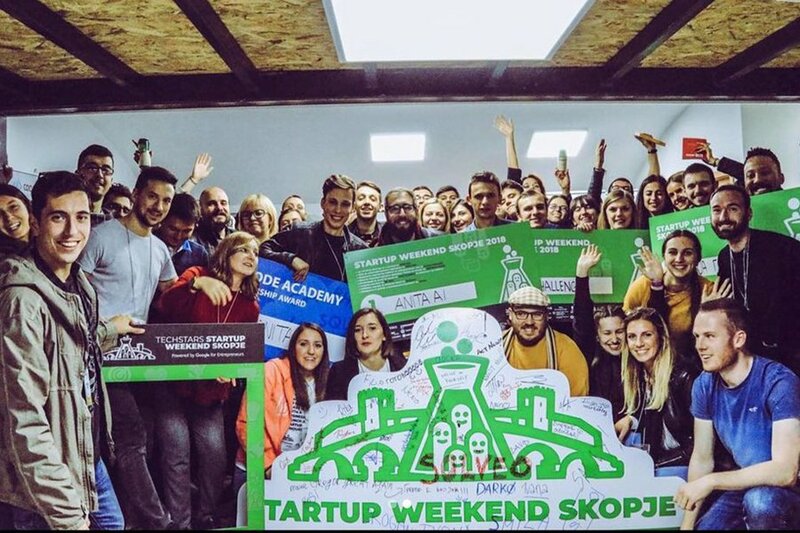 The main goal of Startup Weekend Skopje was to promote and encourage the entrepreneurial spirit to a wider audience and to stimulate a mindset of seizing opportunities and open-mindedness. In the 7th SWS edition sixty participants got a first-hand experience of what it takes to create a startup in 54 hours. Through intensive work and interactive workshops with industry experts, the teams managed to develop business ideas, get market validation and develop a viable business plan that will keep the startup sustainable. At the end of the weekend, there were 10 potential startup solutions, a group of young and motivated participants who were going to continue working on their ideas and spreading the enthusiasm with their peers, and a larger family of online supporters who were inspired and informed, and would spread the message even further. We succeeded in raising awareness of the Startup community in Macedonia, and we have an opportunity to aspiring entrepreneurs to test and turn their ideas into reality. Several of the teams continued work on their ideas with major stakeholders on the market, and the organization team of the event received a score of 9.73/10 on the Techstars quality assessment by the participants.